Like many iPad users, I have created folders to help organize the dozens, OK hundreds, of apps that I have acquired during the past several months. Some of my folders are labeled as follows; Education, Entertainment, Productivity, Social, Personal, and of course, Google. "Where is the best place for my YouTube app icon?" 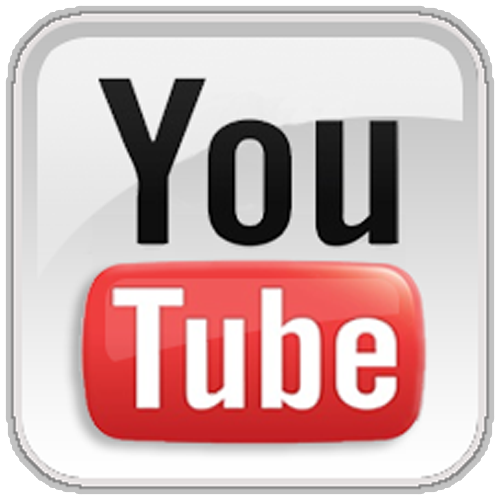 Education - Is YouTube a frequently used app in teaching and learning? Well, if it's not, then your students are missing out on billions of potential learning opportunities? Facebook aside, I see more students on YouTube that any other app - hands down. YouTube is a primary resource for my connected learning and a main cog in my PLN. Productivity - Seems about right. Several of our 1:1 teachers are also "flipping" their classrooms. They are either collecting or creating educational videos to assist students in their learning. Many students are demonstrating their knowledge by "producing" videos. The easiest way for them to share their Doceri creations is to click the "share to YouTube" button. You know, the one with the "swooshy" arrow. Social - I can see where my YouTube icon would fit nicely between the tweeting bird, and the Learnist "L". Personal - This is where I have my cloud storage apps (Dropbox / Box), my personalized reading apps (Zite / News-360), a short-cut to the Archer's Bow, and other miscellaneous apps that are relevant primarily only to me. YouTube could fit here nicely. Google - Home of my most frequently used apps - sorted by brand. Search, Drive, Google+, Gmail, Google Voice, Picasa, and Google Earth. If it's about corporate allegiance, then YouTube belongs here. To help me with this conundrum, I turn to Justin Kahn's post in "iPad Notebook", "How to Organize Your iPad Apps". Whoa, I never considered alphabetizing my apps! Doh, more confusion.